Cris Cyborg vs Marlos Coenen The expected title fight between Cyborg and Coenen officially announced for January 30th. Its official. 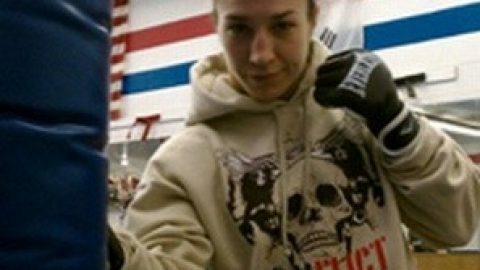 Cris “Cyborg” Santos (8-1 MMA, 2-0 SF) will return to action and defend her 145-pound Strikeforce Women’s Championship against Dutch submission specialist, Marloes Coenen (17-3 MMA, 1-0 SF), at Strikeforce: “Miami” in Sunrise, Florida on January 30, 2010. Cyborg earned her 145-pound title with the first-round demolition of Gina Carano, in August at Strikeforce: “Carano vs Cyborg.” She was scheduled to fight Coenen for her first title defense at last month’s Strikeforce: “Fedor vs Rogers” event, but a shoulder injury forced her off the fight card. Coenen went on to defeat Roxanne Modafferi, who was a late replacement for injured Erin Toughill, with an armbar submission victory.